[S439] Source: The Evans Family by Marjorie Stewart Tucker, Earl Gray Printing, Birmingham, Alabama, page 251, a copy of which is located in the Berkeley County Library, Martinsburg, WV 25401. [S440] Source: The Evans Family by Marjorie Stewart Tucker, Earl Gray Printing, Birmingham, Alabama, page 252, a copy of which is located in the Berkeley County Library, Martinsburg, WV 25401. [S451] Source: E-mail from Robyn Rusenescu (e-mail address) dated 1 June 1999. [S448] Source: Dana Davis Gilbert (e-mail address) via an e-mail message on 1 June 1999. Katherine died. Her body was interred at Titus County, Texas, at Old Union Cemetery.1 Katherine was born. She married William Cecil Campbell. [S450] Source for middle name: Dana Davis Gilbert (e-mail address) via an e-mail message on 1 June 1999. William died. His body was interred at Titus County, Texas, at Old Union Cemetery.1 William was born. He married Katherine Pettigrew. Melva was born at Jasper County, Illinois, on 18 August 1921.1 She married Elmer Wheeler at St. Louis, St. Louis County, Missouri, on 16 August 1941.1 Melva Louise Tabb died on 6 October 2011 at South Bend, Indiana, at age 90. Vivian was born at Newton, Illinois, in 1896.1 She married Cecil Pearl Tabb at Jasper County, Illinois, on 8 June 1913.1 Vivian died on 18 July 1958 at Jasper County, Illinois.1 She was buried after 18 July 1958 at Riverside Cemetery, Newton, Jasper County, Illinois. Waller Crockett Tabb , Jr.
[S453] Source: E-mail from Waller C. Tabb, Jr. (e-mail address) dated 25 June 1999, to George E. Tabb, Jr.
Dec. 29, 1953-Dec. 16, 2013 Susie was born and raised in Richmond, Va. Daughter of Nancy Martin Boston Tabb and John Lloyd Tabb. She completed her B.A. in Comparative Literature at the University and spent many years caring for her grandmother. She worked as a part time correspondent and was supervisor for a state agency. Susan had begun work on her Master's in Environmental studies when she became ill. In time she moved to Roanoke where she was able to backpack parts of the Appalachian trail, vegetable garden, knit and learn pottery. In time she moved to Moab Utah and worked as a guide and continue her love of outdoor life and as a potter and artist. 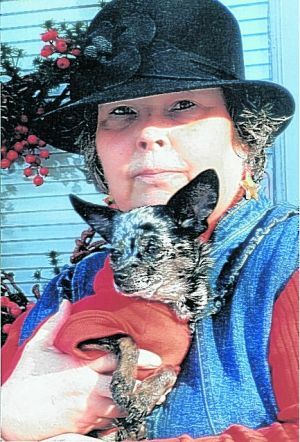 Eventually it became necessary for her to relocate with her much loved companion, Coco to Grand Junction, Colorado where she spent her last years trying to beat the chronic illness which took her life. "May her spirit be free" is the message her friends wish to convey to all who read this obituary. [S455] Source: E-mail from Jerry McClure (e-mail address) dated 30 June 1999. [S458] Source: http://www.primenet.com/~dlhytton/wdc/z0000581.html which was contributed by Charles B. Stanley (e-mail address).